With the qualifications of two New Caledonian teams, Hienghene Sport and AS Magenta, Fédération Calédonienne de Football, the clubs and the Oceania Football Confederation have agreed to stage back-to-back OFC Champions League 2019 semi-finals at Stade Numa-Daly on Sunday 28 April. After both Hienghène Sport and Magenta have secured semi-final hosting rights, as determined by the official OFC Knockout Stage Draw in March, all stakeholders have supported the concept of a double-header to promote and celebrate international club football in New Caledonia as well as across to entire Pacific region. 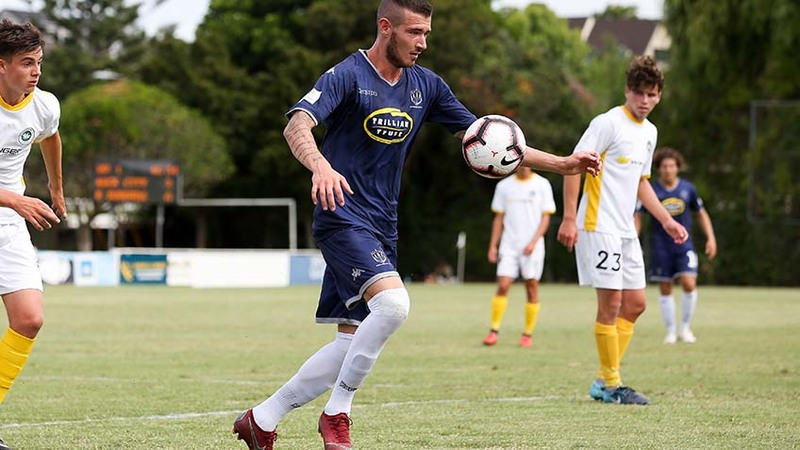 Adding spice to the occasion the two local favourites will host nine-time champions Auckland City FC and current title holders Team Wellington in what promises to be a thrilling festival of football between New Caledonian and New Zealand rivals at Stade Numa-Daly. Hienghène Sport from New Caledonia’s Northern Province will travel to the capital on the back of their extra-time win over Ba FC, while their opponent Team Wellington have booked their ticket to Noumea with a dominant 6-1 win over Henderson Eels form the Solomon Islands. In the second semi-final, in-form AS Magenta can’t be complacent despite their impressive 8-0 victory over Tahiti’s Central Sport when they face the Navy Blues from Auckland, who cruised into the final four with a convincing 4-0 win over Lae City Dwellers from PNG. OFC Competition Director Chris Kemp says the semi-finals will showcase the best talent in Oceania giving fans an exciting opportunity to join in the celebrations of our football culture. "The double-header will provide a unique opportunity for our fans to enjoy and absorb the best international club football our region has to offer,” he said. “We will have our top clubs and players on full display and following an already thrilling competition to date, we expect the level of excitement to go up a few notches. “With a place in the OFC Champions League Final on offer, the stakes couldn’t be any higher and the healthy rivalry between New Caledonian and New Zealand teams will add an extra dimension to these two mouthwatering matches. “I’m sure the teams and the fans are looking forward to a fantastic day of football just as much as we are, April 28 can’t come soon enough,” added Chris Kemp.